Punctuality has never been a strong Irish trait. In historical terms Ireland is particularly late to appreciate things. But a bit like many of the buses I spent what seemed like my entire youth waiting for, eventuality it turns up and life continues on amicably and prosperously. 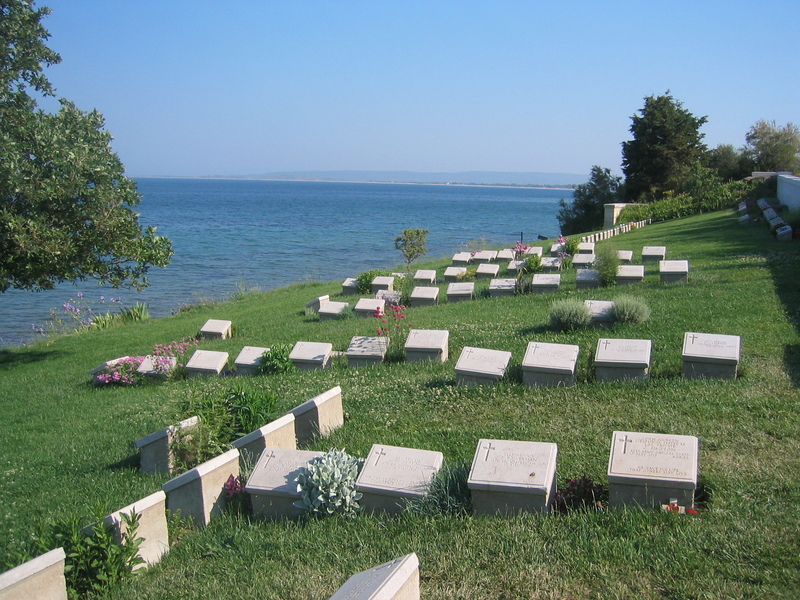 Yesterday saw the unprecedented recognition of Irish soldiers who fought for Britain and died, along with so many other young men from many other countries, at Gallipoli in the First World War. A ceremony to celebrate the centenary of the battle’s commencement took place and saw members of Britain’s royal family, the Turkish president, and significantly the president of Ireland, Michael D. Higgins. This form of recognition is a vital step in appreciating a significant link which has existed for centuries between Britain and Ireland, and this is the service of Irish men as soldiers of Crown. Since independence in 1922 a blanket has been thrown over this aspect of Irish history, but is now gradually been drawn back. For many years the contribution of Irish soldiers to the British military has been ignored in official circles, and in many corners considered an embarrassment for people who fought for their rulers. During British rule of Ireland, military service has featured as an important component in the relationship between the two countries. In the 17th and 18th centuries, Irish troopers were recruited regularly and made up a significant human resource for the then expanding British Empire. They were mostly soldiers, and in that respect cannon fodder. At the same time, service in the Royal Navy was considered a worthwhile punishment for miscreants, be they political or social, before the idea of dispatching them to Australia hatched. Despite the obvious threat that military service presented, it was considered a worthwhile service right up until the end of the World War One. Namely because it paid a salary and also a widows pension, a luxury farmers and labouring jobs were never entertained with. Job security was an attractive perk, as was being away from one’s spouse for large periods of time while the soldier was deployed in places foreign. My own great grandfather on my mother’s side was one of these people, and saw action in Sudan, and the Boer War among other conflicts. I think that he may have been too old to fight during the Great War, but he was certainly enlisted at the time. The First World War saw an unprecedented number of Irish recruits signing up to fight. It was perceived that with good behaviour Ireland would eventually earn the Home Rule it had so desperately strove for. In total almost 50,000 Irish soldiers perished during the war. The effects of the 1916 rising saw this effort may have been a waste of time. While Irish recognition of its contribution to World War One has been slow, the service of its people as soldiers has never been in doubt, it’s role in the second World War is something much more in doubt. The state officially took a position of neutrality, but had no qualms about introducing conscription, rationing, and preparations in the event of an invasion. Meanwhile thousands of Irish people took the short journey to British territory and signed up to take the real fight to tyranny in Europe’s battlefields. While nowhere near as many people died as did between 1914 and 1918, the number is close to 10,000 and it is a figure which exceeds many other political causes of death, including the Troubles and War of Independence. This process of recognition is probably easy for most people, especially when given an opportunity to consider life as it was. A better understanding of history, as well as a stronger understanding of humanity are key to this. Irish people are more comfortable in their relationship with their closest neighbour than they have ever been, and they are also more confident in their own understanding of their own national identity that we can appreciate who we are and what really makes us so. As a more globablised condition exists in Ireland so does a stronger belief in the necessity to understand Ireland’s role in the future, and to do this right, understanding the past is an important component. It is with a slight sense of bragging that I should be reminded that it was on this day two years ago that I took part in one of these processes of recognition. On a wet morning in Yongsan-gu outside the Korean War Memorial I was very fortunate to be offered the opportunity to lay a wreath at the newly laid memorial honouring the Irish who during the Korean War. The Irish contribution, while quite small, was an unofficial contribution as those who fell did so wearing mostly British uniforms. The significance of this was twofold, in that it recognised that while Ireland had not officially supported the war, its people had rallied in defence of Korea’s freedom, and this is something that the people and veterans of that time appreciate. Also, with respect to yesterday’s ceremony in Turkey, it is another step by Ireland towards understanding our contribution to the history of the twentieth century. Previously it was buried away as a past which spoiled Ireland’s image as a nation which fought for its freedom from Britain. In Ireland we now look at our past and realise that our connection is stronger than the rules inscribed with the mere signing of a piece of paper. We look to ourselves now for our answers, and we look to the way we can make our country better and stronger. This is always a learning process, but knowing that is a process makes the journey a lot easier.